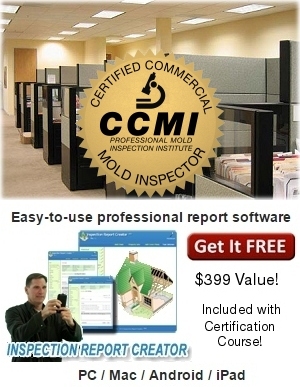 Our 16-hour, Certified Commercial Mold Inspector (CCMI) course contains contains lessons on how to inspect for mold on commercial property including office buildings, warehouses, shopping centers, apartment complexes, and multi unit properties. You will learn the differences when inspecting larger properties, how to document your findings, and how to price your services. The CCMI course is an addendum to the residential mold inspection course, and includes the protocols for identifying mold, assessing mold damage, and the proper procedures for collecting mold samples. This in-depth course will help you learn the skills and knowledge necessary to expand your mold inspection business to include many different types of commercial properties. You can use the provided report templates to create reports for your clients. 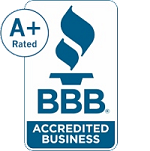 When you finish the course and pass the final exam, you will be a Certified Commercial Mold Inspector (CCMI) and possess the knowledge and skills needed to add commercial services to your full or part-time business. Online Course Access and optional back-up CD, Report Templates, Online Flashcards & Testing, CCMI Certification, Toll Free Student Support.